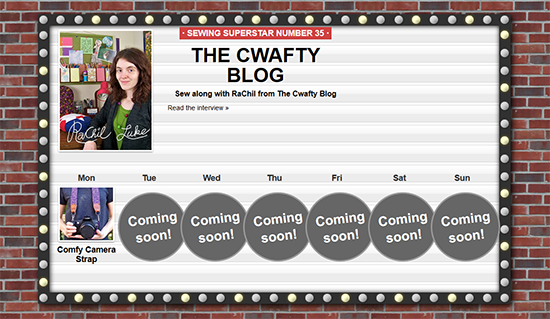 The Cwafty Blog: Sewing Superstar!! Good news everyone! For real good, not Farnsworth-ian good too. A few months back I got an email from Cat Morley, asking me to be a Sewing Superstar over at the craft community site Cut Out + Keep! I got interviewed and submitted a few of my projects to the community and a new one will be debuting each day. You can find my feature here and make sure to check back every day for a new project.